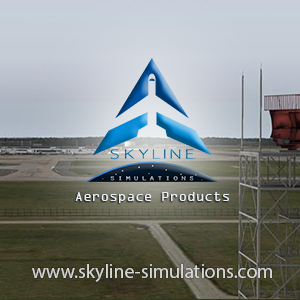 You are at:Home»Hardware»Thrustmaster Announce New Flight Sim Headset! 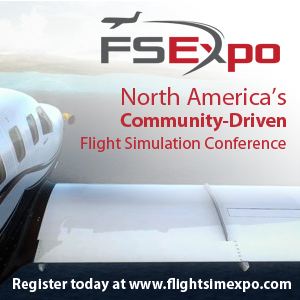 Thrustmaster has today announced a new aviation-style headset that is designed specifically for Flight Simulation! Thrustmaster today announced that its new T.Flight U.S. Air Force Edition Gaming Headset will be available for pre-order on August 16 prior to its official release on October 31 for $99.99. Currently on display in the Thrustmaster Gaming Hangar B in booth 2162 at the EAA AirVenture 2018 in Oshkosh WI, the new headset meets the exacting standards required to earn the official license of the United States Air Force, one of the most respected military air wings in modern aviation history. Including its tremendous design, the headset itself introduces several outstanding features to include the high-quality components and sound that result from over 25 years of audio experience. These features make the T.Flight U.S. Air Force Edition Gaming Headset an ideal solution for flight sims, aerial combat games, esports and multiplayer games. 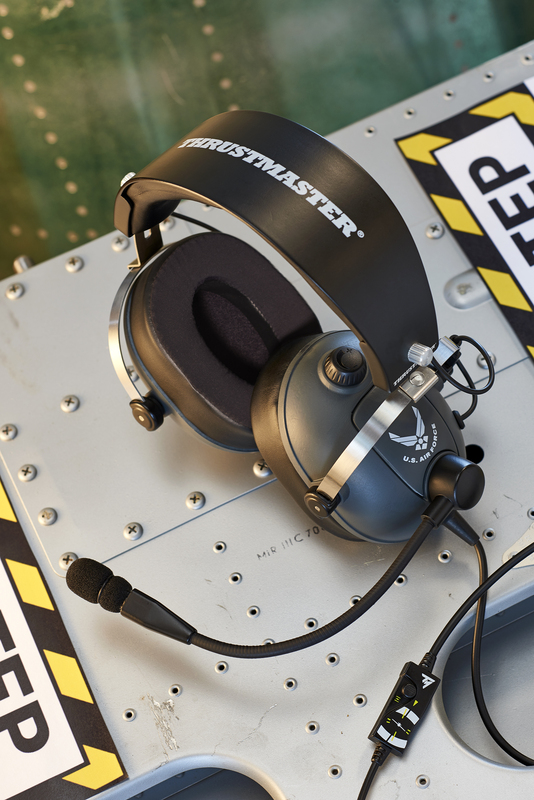 Working with the United States Air Force, Thrustmaster created an advanced headset able to meet the rigorous protocol needed to secure their official license. For the USAF, performance is key and Thrustmaster achieves crystal-clear audio fidelity through the use of 50mm analytic drivers with stable frequency response curve. The result is perfectly balanced bass, mid-range and treble with distortion reduced to less than 1% (e.g. sound pressure level is settled at 116±3dBSPL at 1mW). The T.Flight U.S. Air Force Edition Gaming Headset is a massive departure from every current gaming headset on the market as it is inspired by real-world pilot headsets. The frame is constructed of metal while the 1-inch ear cushions are ultra-soft with an integrated gel layer, making them perfect for long gaming sessions. It all adds up to the classic look and feel of the actual headsets used by today’s pilots. Another unique feature that copies those found on modern pilot headsets is an external volume control knob on the outside of the ear cup so users can fine-tune their volume. An in-line miccontroller with volume and mute controls seamlessly handles the unidirectional microphone. Signal-to-noise ratio is down to 56dB for a clear sound that excludes ambient noise pollution. Emblazoned with the logo of the US Air Force on interchangeable faceplates, the T.Flight US Air Force Gaming Headset allows gamers to customize their look. Previous ArticleFlyTampa Hong Kong V2 Released! Next Article Just Flight Traffic Global Update!